Following the success of last year's dinner, the Warden, JCR and MCR Presidents look forward welcoming you to the annual dinner to celebrate ethnic diversity. We are delighted to announce that Old Member Rageh Omaar will be the guest speaker at the dinner to be held at New College on Saturday 9 February 2019. The evening is an opportunity for all students and New College Old Members who share an interest in ethnic diversity to meet and celebrate success. 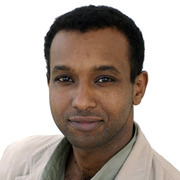 *Rageh Omaar (1987 Modern History) - Rageh is ITV's International Affairs Editor, responsible for covering major news stories across the world. He is also the presenter of ITV's current affairs programme On Assignment. He was previously Senior Foreign Correspondent for the BBC, where he covered the second Gulf War from Baghdad, before leaving to report and present for Al Jazeera.